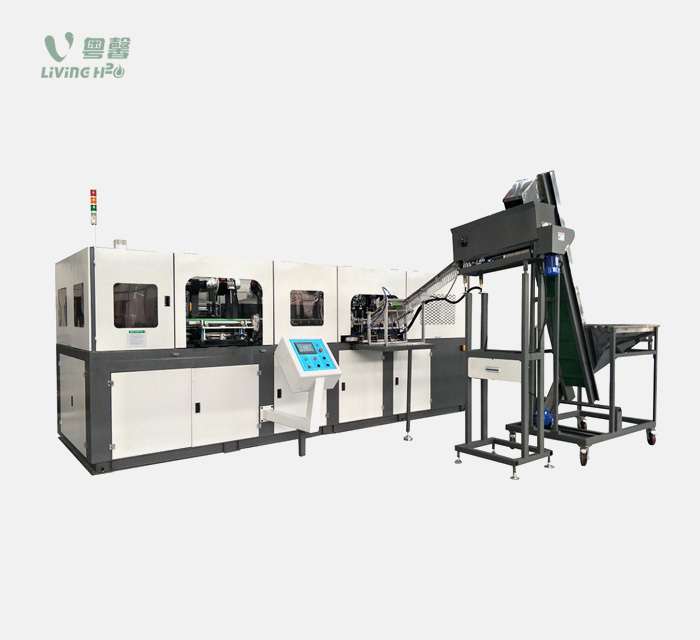 JYX series full-auto PET bottle blow moulding machine is widely used to produce varieties of PET plastic container and package. This PET bottle making machine widely use in beverage industry, such as mineral water, pure water, juice, soda water, carbonated drinks, hot filling drinks, oil, cosmetic and hot infusion, etc. Controlled by micro-computer with each main process fitted with safety of self-locking, it is operated by only one worker and the total production is completed automatically. Its wide utilization and reliable performance make it become popular and attractive to bottle manufacturers. It's strongest point is energy savings. JYX series full-auto PET bottle blow moulding machine consists of three main parts: preform loading system, heating tunnel and blow station. Its heating tunnel is separated from the blow station so that time for mold opening is shortened with a result of speedy blowing and high output, damage to machine is lessened so as to keep reliable performance and prolong service life, as well as machine runs more smoothly and steadily. It is controlled by PLC. The whole process from preform feeding to bottle discharging is completed automatically with advantages of labor saving and no pollution. 1. Machine use of advanced PLC control system, stable in performance, automatic preform feeding. 2. Strong penetrability and good and swift distribution of the heat by letting the bottles rotate by itself and revolute in the rails simultaneously in the infrared preheater. 6. Air route design is divide into two parts. 7. Ideal effect of the chilling with the chilling system. 8. Low rejection rate: less than 0.3percent.